Not-for-profit documentary production collective Kartemquin Films, the Chicago-based producers of The Interrupters, and The Trials of Muhammad Ali, marks the occasion of its 50th Birthday Party tonight to announce major retrospectives in New York and Los Angeles this summer, a new fund to support filmmakers, and a showcase for emerging midwest independent documentary makers this fall. 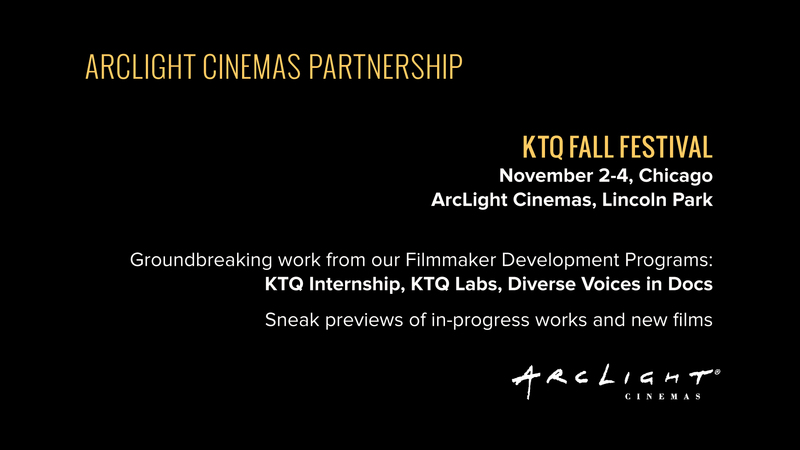 This November 2-4, in partnership with ArcLight Cinemas in Lincoln Park, Kartemquin will present a “Fall Festival” of the groundbreaking work coming through its acclaimed filmmaker development programs: KTQ Labs, Diverse Voices in Docs, and the Kartemquin Internship; along with previews of its latest works-in-progress, and premieres of new completed films. For the first time, Kartemquin will be giving small grants to projects at critical stages of production, and in support of innovative storytelling and diverse new voices in documentary media. Kartemquin will launch this fund later in 2016. This program has been made possible thanks to resources provided by the Sage Fund, the John D. and Catherine T. MacArthur Foundation, and the Forum Fund. 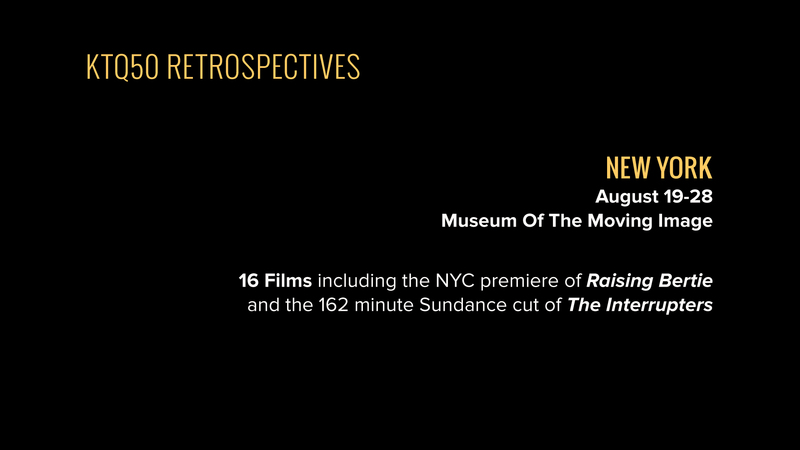 Kartemquin’s Steinberg also announces a 16-film retrospective at Museum of the Moving Image in New York City from August 19-27, and a 15-film retrospective at the Billy Wilder Theater in Los Angeles from September 16-27 presented by UCLA Film & Television Archive and the International Documentary Association. Both venues will screen city premieres of Kartemquin’s mostly recently completed film, Raising Bertie , a tender portrait of three African American boys coming of age in the rural community of Bertie County, North Carolina. From debut director Margaret Byrne, the film world premiered to wide acclaim in April 2016 at Full Frame Documentary Festival, and has been favorably compared to Richard Linklater’s Boyhood ahead of its next screenings, this Saturday June 25 and Sunday June 26 at AFI DOCS in Washington, D.C. 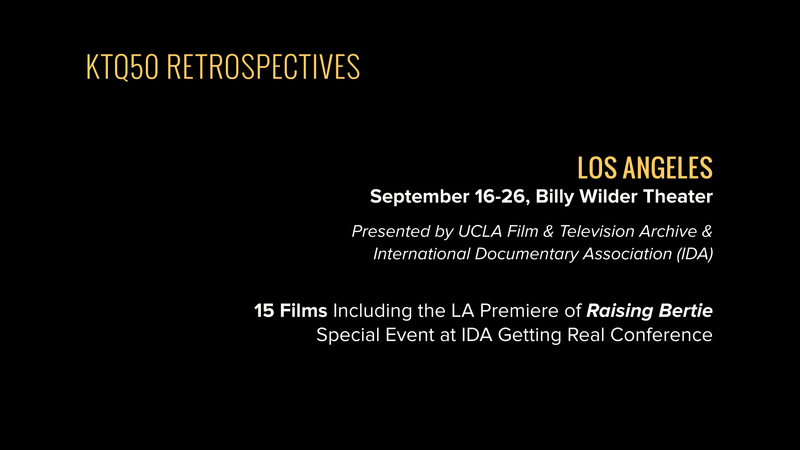 The 50th Anniversary celebration is hosted by Tony Sarabia and Honorary Event Chair Chaz Ebert, who is featured in Kartemquin’s 2014 award-winning documentary Life Itself, based on Roger Ebert’s memoir and final months. Partygoers view new video and photo wall montages of Kartemquin’s work while enjoying food, drinks, and dancing alongside stars such as Hoop Dreams stars Arthur Agee and William Gates, The Trials of Muhammad Ali star Khalilah Ali, former wife of the recently deceased legend; and Ameena Matthews, Eddie Bocanegra, and Cobe Williams of The Interrupters. “It is wonderful to have our community – and especially so many subjects, filmmakers, and alumni – together in one place. These are the people who made Kartemquin what we are, and what we will become,” said Kartemquin co-founder Gordon Quinn, who was the recipient of the 2015 International Documentary Association’s Career Achievement Award for his services to the art form. Founded in 1966 by three University of Chicago graduates, Kartemquin has since produced over 55 documentary shorts, features and series, winning every major award available for documentary filmmaking, with the infamous exception of the Academy Award denied to Hoop Dreams filmmaker Steve James. “We will be taking our historic and latest work to new audiences and new levels of visibility,” said Steinberg, who replaced Justine Nagan, now head of the PBS series POV, as Kartemquin Executive Director in December 2015. Kartemquin co-founder Gordon Quinn remains as Artistic Director. On July 26, the City of Chicago’s Department of Cultural Affairs and Special Events will host a special Kartemquin Night at Millennium Park as part of their annual Summer Film Series. The evening will consist of a free screening of Kartemquin's classic 1968 documentary Inquiring Nuns, in which two nuns walk the streets of downtown Chicago asking citizens, "Are you happy?" Kartemquin has already also honored the legacy of their half century of social issue documentary filmmaking in Chicago throughout 2016 with special events, including screenings, masterclasses, monthly WTTW broadcasts, and free online streaming of their entire back catalog at http://watch.kartemquin.com. A special free exhibition: “Kartemquin at 50: Democracy Through Documentary” which is running through August 20 at EXPO 72 gallery in Chicago, tells their story through a curated selection drawn from their archive of over 30,000 historical photographs, artwork, objects, documents, and unique video and film equipment. 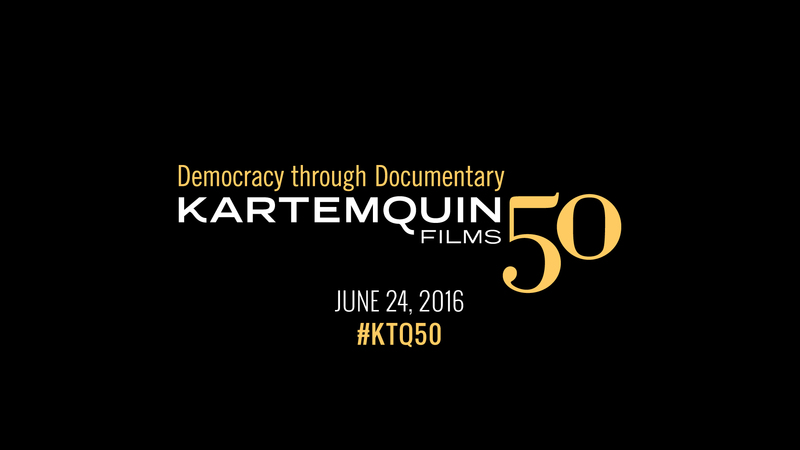 Find out more about all Kartemquin’s 50th Anniversary events at www.KTQ50.org. Recent award-winning Kartemquin films include Steve James’ acclaimed Life Itself; Usama Alshaibi’s American Arab; Bill Siegel's The Trials of Muhammad Ali; Kirsten Kelly and Anne de Mare’s The Homestretch; Joanna Rudnick’s In the Game; Aaron Wickenden and Dan Rybicky's Almost There; Brent Huffman’s Saving Mes Aynak; Hard Earned, a six-hour series for Al Jazeera America; and Margaret Byrne’s Raising Bertie, a multi-year study of 3 boys growing up in rural North Carolina which world premiered at Full Frame and is screening at AFI DOCS. Kartemquin currently has 12 films in progress, including Dinesh Sabu’s Unbroken Glass, in which the filmmaker (a former KTQ intern) tries to piece together the story of his parents' lives, twenty years after their deaths; Diverse Voices in Docs graduate Kelly Richmond Pope’s All The Queen’s Horses, about the staggering fraud committed over 20 years by by Dixon, Illinois City Comptroller Rita Crundwell; and a new film from legendary director Steve James.